Former Prime Minister and recent convert to spray tanning John Winston Howard has called on Malcolm Turnbull to ignore senator-elect Pauline Hanson and then steal her policies. 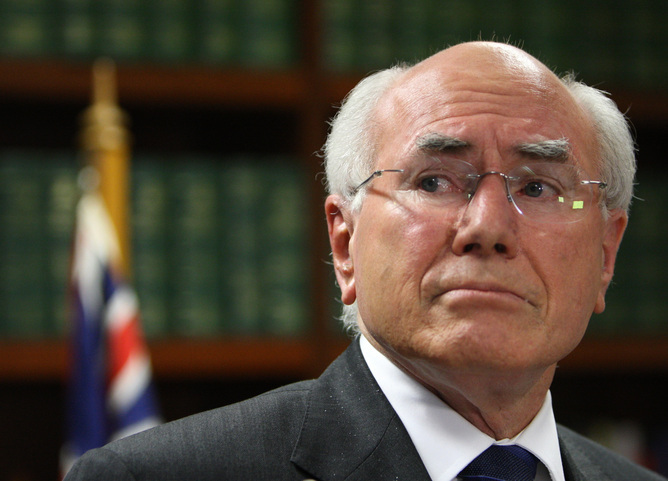 When The (un)Australian tried talk to Mr Howard about the Chilcot Report and the war in Iraq, he started to talk about Shane Warne and his love of cricket, at which point his carer asked us to leave as he was getting too excited. Ms Hanson could not be reached for comment as she was apparently out, back-to-parliament shopping, as Officeworks had a special on aluminum foil to make hats for her Senators.